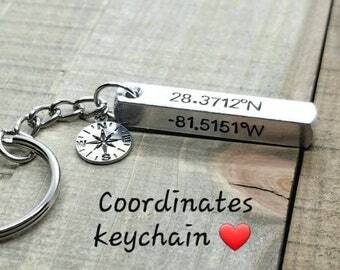 Hand stamped bracelets, necklaces, key chains and more! Announcement Buyers are responible for reading item descriptions and shop policies prior to purchasing. Current production time is 5-7 business days. This does not include shipping (an extra 3-5 days with standard USPS). I do have rush options available as well as shipping upgrades if you need your item quickly. Buyers are responible for reading item descriptions and shop policies prior to purchasing. Loved these! They looked amazing and I can't wait to start a team tradition with these! Love my bracelet! It was exactly what I wanted! My hubby and I ❤. He is always a huge help during busy times!! 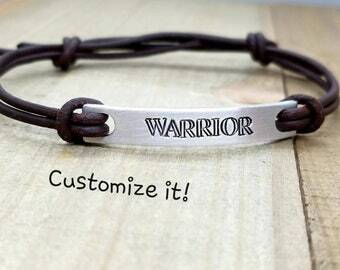 Custom hand stamped necklaces & bracelets - Pieces to encourage and inspire! I've had a creative side for as long as I can remember. I've dabbled with jewelry making on and off for years. 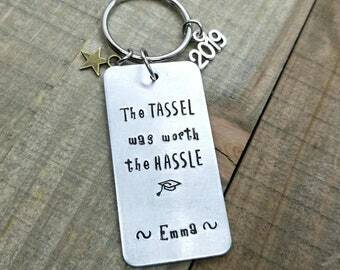 I can honestly tell you I never thought I would be here...owning a shop and making hand stamped jewelry. However, this new adventure of mine has been wonderful and a very welcome one indeed. A true gift from God and I give Him all of the credit and glory. Although I've had many struggles in this life, He has a plan for me and there is a reason. You might have noticed my variety of inspirational words, quotes, and semicolon items. That's because, like many, I struggle with mental illness and it's been a struggle for years. I'm not afraid of admitting that, but I'm also not looking for pity or sympathy. I am an advocate for stopping the negative stigma surrounding mental illness. My creativity and drive stems from those dark times (part of God's plan, right?) He blesses us with talents to use for His glory...even if it means we need to experience some difficult times to get there. "I have filled him with the Spirit of God, with ability and intelligence, with knowledge and all craftsmanship, to devise artistic designs, to work in gold, silver, and bronze, in cutting stones for setting, and in carving wood, to work in every craft". 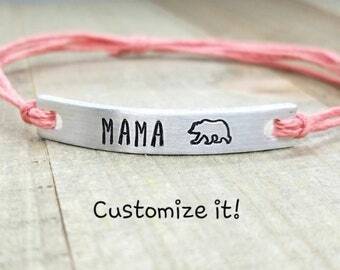 I first came across hand stamped jewelry when I saw an ad on Facebook for the My Intent washer bracelets. I thought...how cool! I would love to have one! So I went to their page to check them out. That's where I came across the makers' kits. The wheels started turning. I started my research at that point. I watched YouTube tutorials about stamping, browsed Amazon looking at the endless options of stamps and tools. I was so excited and couldn't wait to get started! I purchased my first set of metal stamps in early April 2018. I started gathering more and more materials and practicing. It's definitely a learning process. It wasn't quite as easy as I anticipated and it took time and a lot of patience before mastering my skill of stamping. I feel it's always a work in progress though and it's certainly a "perfectly, imperfect art". I fell in love with stamping. What really surprised me was how it affected my levels of anxiety and overall improved my mood...quite significantly. Ever since, it's been my go-to when I'm feeling anxious or a little down. It's very therapeutic. What makes it even more rewarding is knowing I'm creating special pieces for others. I hope to create pieces to inspire and encourage, to share this gift that is not only a blessing to me but more importantly can also be an incredible blessing to someone else. To wear a piece that means something so special. It is best to avoid getting your jewelry wet. Even though I do clear coat all of my pieces to help protect them and to help prevent the ink from fading there is no guarantee that if they are repeatedly exposed to moisture or certain chemicals they will remain in good condition. If you notice the ink fading in the letters you can always use a black sharpie to darken the letters and wipe away the excess ink using a paper towel dampened with rubbing alcohol. Certain metals may tarnish/patina over time. If you prefer to keep your jewelry shinier, use a jewelry polishing cloth. Please keep in mind that these pieces are handmade and are not fine jewelry. When cared for properly they can last you a long time but are not meant to last forever. Most of my bracelets I make adjustable with a sliding knot. These bracelets will fit most people. If you need a bigger or smaller bracelet please add that in the "notes to seller" section. I'm happy to accommodate special sizing requests. Necklaces are generally 20-24" in length. I am able to make necklaces with the leather or faux suede cord longer or shorter if needed. Please ask if you would like a certain length. If you see something you like but it does not have a "custom" option I am more than happy to work with you to create something special just for you. Just message me! For custom orders: Please leave your requests for your word/short phrase in the "notes to seller" section at checkout. I cannot accept returns or exchanges on custom orders. I will accept cancellations as long as they are the same day of purchase. How long does it take to receive my custom order? I do my very best to get custom orders processed and out quickly. Please keep in mind I am a 1 person business. I will let you know when you order what my current processing time is and when to expect your item to be completed and shipped. Shipping time depends on your location. For orders of 10+ items: Processing time will be slightly longer. I do accept bulk orders at a discounted price. Please message me for details! What if I have an allergy? Or will my skin turn green? Aluminum is hypoallergenic and is the best option for anyone with sensitive skin. It is nickle and lead free and will not turn your skin green. Brass and bronze are both known for turning your skin a greenish tint if you have a sensitivity or from sweating or certain lotions used on the skin. This is completely harmless but can be very unsightly. To help prevent this I use an acrylic clear coat spray on these washers. Please note that this coating may wear off over time and may need reapplied or just using a clear fingernail polish will work too. Because of the handmade nature of these bracelets the strings may wear over time causing them to possibly break or come untied. Especially if they are not properly cared for and also depending on the material used. Hemp bracelets will naturally fray and if worn 24/7 and exposed to moisture the strings will wear quickly. To prolong the life of these bracelets try to avoid getting the strings wet. Faux suede will also wear quickly and become very fragile if exposed to moisture or lotions on the skin. Please see care instructions and repair info (within first 30 days) on the packaging slip that came with your order. I'm also happy to help with instructions on replacing the string if need be at anytime! Don't hesitate to reach out to me. My package was lost or stolen! Unfortunately this can happen :( I am not responsible for lost or stolen packages. I will always double check with you to be sure the address was correct. However, if everything was correct and the package was lost in transit or was delivered but never received, I will not issue refunds or replacements. There will be no refunds or replacements on custom orders UNLESS it is an obvious mistake that I made such as a spelling error, incorrect characters, wrong font used, wrong color of cord/string, etc. Slight imperfections are to be expected with hand stamped items. This is normal! These are not machine engraved and therefore will never be absolutely perfect. I do my very best on all of my work, but handstamping is a unique art that is impossible to perfect. If a letter is slightly off or spacing is not exactly perfect, this is not a reason to request a replacement or refund. I work incredibly hard and long hours to create these pieces. It is a very time consuming process. If perfection is expected I recommend a machine engraved item. What is hand stamping? Is it the same as engraving? Hand stamping is a unique art where letters and characters are stamped individually by hand using steel bits and a hammer. It takes time and skill to master. These pieces are unique due to the fact that no two will ever be alike. They have a very unique character! Hand stamping should never be compared to machine engraving. They are two completely different things. Perfection should never be expected. There may be slight variations in alignment, spacing and depth of characters. This not a flaw. I put my absolute VERY best into each and every piece, but they will never be perfect no matter how hard I try.